I realise that a cold November day may not seem like the most appropriate time to talk about a fragrance entitled ‘Sunshine’, but seeing as this weekend saw the hottest November day on record, maybe it’s not quite the time to pull out the chunky knitwear, capes and scarves just yet, as much as one may be tempted to! 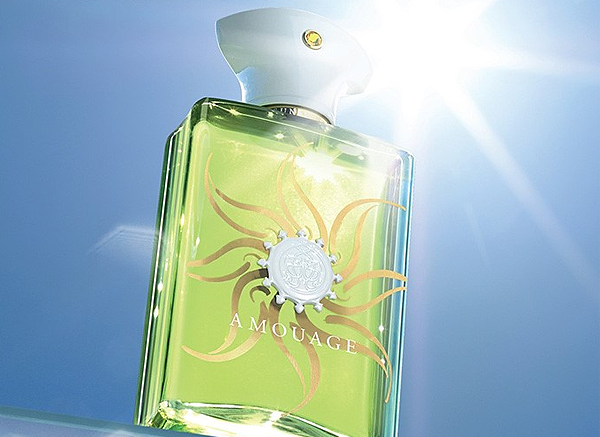 Anyway, Amouage’s Sunshine Man, the subject of today’s review, is the masculine follow-up to last year’s Sunshine, a cheerful osmanthus and creamy sun lotion scent that felt atypically Amouage, yet beautiful none the less. What’s more, Sunshine Man centres on a very special ingredient – lavender. Now, if you ask me there is no smell on Earth sexier on a man than lavender. Honestly. When my significant other splashes on the waxy and soapy lavender tones of Etat Libre d’Orange’s Antiheros or the caramelised nuances of Dior’s Eau Noire, well, my heart goes a flutter and I am literally putty in his hands. I kid you not. One spritz of something lavender-related and I’m practically Pepé le Pew, except without any of the cartoonish charm and the ability to rock monochromatic stripes. You’ll understand then, why Sunshine Man is such an intriguing premise to my lavender-loving nose. Anyway, that’s enough of my oversharing, let’s jump in and take a sniff! In Perfumes The Guide, scent buff Luca Turin perfectly describes the spirit of lavender. It is, he says, “summer wind made smell”, and I cannot think of any way to capture the essence of the material more aptly. Lavender is a warm summer breeze filled with sweet, herbaceous scent. It is a rich whirlwind of fragrant nuances, smelling in one whiff like liquorice, caramel, hay and mint. This cacophony of scent is instantly recognisable and undeniably irresistible, and Amouage’s Sunshine Man has everything that is great about lavender in spades. Sunshine Man starts with pure lavender. It’s zippy and sweet, giving the impression of gleeful bees darting actively around the tops of flowers. There’s a heady, cloud-like nature to the lavender in the top notes that feels almost bohemian, evoking the idea of a purple haze floating through the air and casting a spell over anyone who breathes it in. This cloud of lavender is ever so subtly accented by the sparkling citrus dew of bergamot, which provides a wonderfully sunny golden sheen. Underneath all of the lavender fizz is a rich gourmand base of immortelle and vanilla. The immortelle, or everlasting flower as it is also known, plays right into the hands of the lavender, intensifying with its tones of maple syrup, curry and anise, the honeyed and caramelised facets of the delicious purple flower. The vanilla underpins this with spice, milky-sweetness and a velvety wave of texture, and it takes Sunshine Man from early morning (i.e. the fresh dew on lavender blooms) to a warm summers evening where the flowers are overripe after a day spent in the sun. It is tremendous. Sunshine Man is pure heaven. It’s a fragrance to wrap oneself in from head to toe – a warm lavender blanket crafted by bees and sunlight. 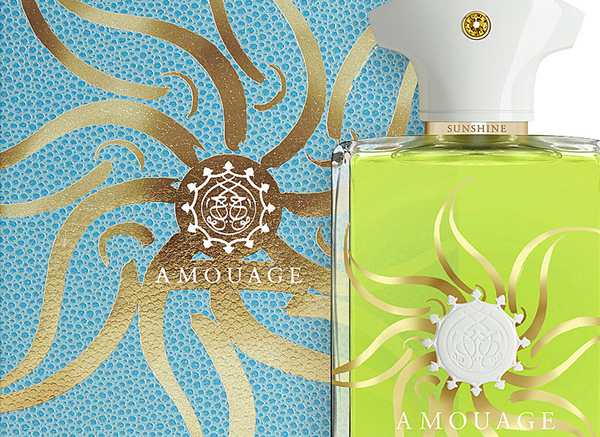 I find it to be a standout in Amouage’s collection, not only because it is expertly crafted, but also because it feels like nothing else in the line. Sunshine Man is not weird. It’s not opulent or exotic – it’s simply beautiful and it brings a nostalgic sort of pleasure that leads one to think of carefree summers spent boundlessly enjoying the wonders of nature. I ask you this: what more could be pleasing on a cold November day than a scented memory of summer? This entry was posted on Wednesday, November 4th, 2015 at 4:30 pm and is filed under Candy Perfume Boy, Fragrance, Men. You can follow any responses to this entry through the RSS 2.0 feed. You can skip to the end and leave a response. Pinging is currently not allowed.